Since the WordPress visual editor was released in 2006, many elegant and user-friendly editors have been released by competitors including Medium, Squarespace, Wix, and Tumblr. And while WordPress currently powers 29.1% of all websites, and has sparked a multi-million dollar industry focused on extending the software through themes, plugins, and services, Gutenberg is WordPress’s attempt at catching up with—and hopefully moving past—the competition. In short, Gutenberg is going to fundamentally change the way users assemble and manage content in WordPress. 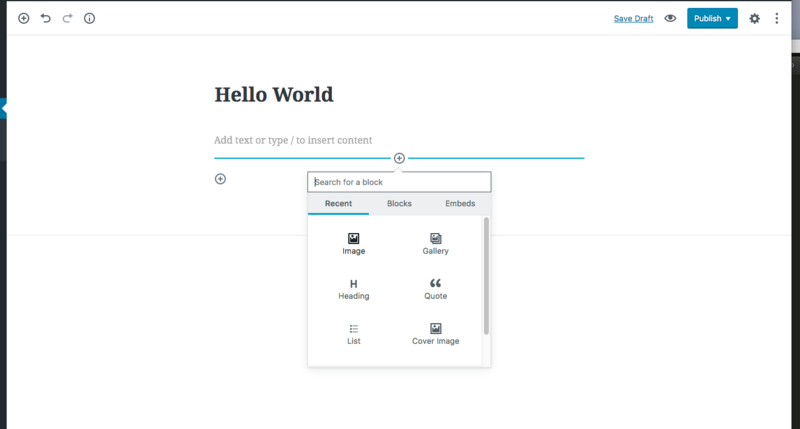 It’s designed to simplify WordPress content, including custom post types, shortcodes, widgets, menus, and more, into one concept: content blocks. Content blocks are like digital legos that you can move and stack on a page to create a variety of layouts that are unachievable within the current WordPress editor. These digital legos can be made up of any type of content—image galleries, text areas, section headers, event listings, video—making the possibilities for page layouts limitless. Clearly, the organizers of WordCamp US were saving the best for last with the State of the Word. We left WordCamp US after Matt’s keynote with a lot of optimism about Gutenberg and how Storyware can build upon it to improve the WordPress user experience. There was really only one thing that could top it — a trip to Hattie B’s for some hot chicken.